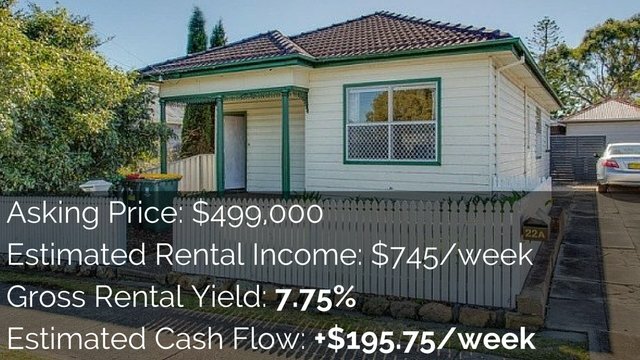 There are 7 important things to look for when buying an investment unit in Australia. 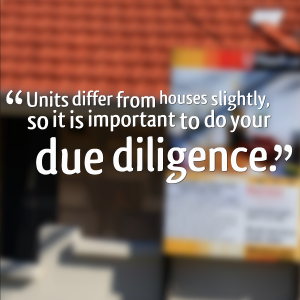 Units differ from houses slightly, so it is important to do your due diligence. This article is about doing your due diligence before you make an offer to buy the unit. Strata titled units operate differently to houses because not only do you have your unit to worry about but you have the common grounds and everyone else who owns a unit in that block to worry about also. 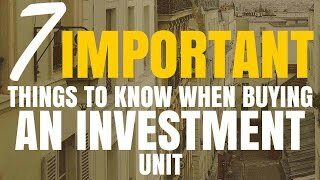 Here is my list of 7 important things to look out for when buying an investment unit. If you are purchasing the property as an investment then it is important to understand exactly how much you will be paying in body corporate fees. These are also commonly known as strata fees or strata rates. These are usually paid on a quarterly basis and help pay for the maintenance of the building and common areas. Smaller blocks of units with less to maintain generally (but not always) have smaller body corporate fees. While units blocks with amenities like a pool, a gym, a spa and lush gardens usually have higher body corporate fees to maintain these amenities. 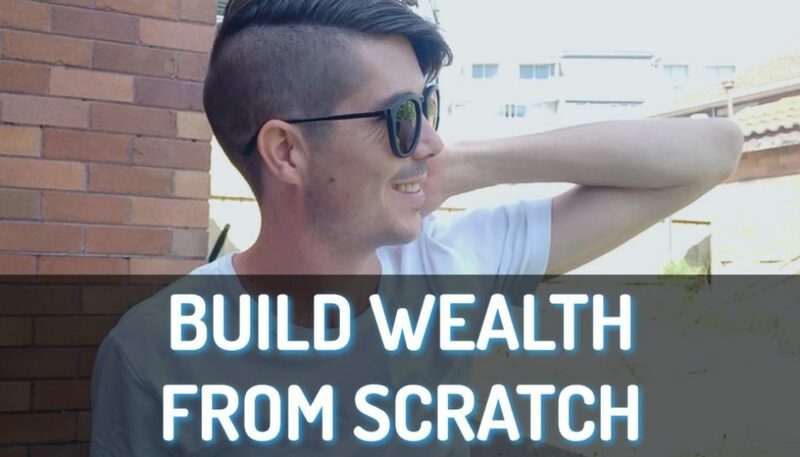 As an investor your goal is to make money from your investment. Body corporate fees take money away from you and you need to make that up somewhere in order to be profitable. Make sure you take this into account in your calculations. 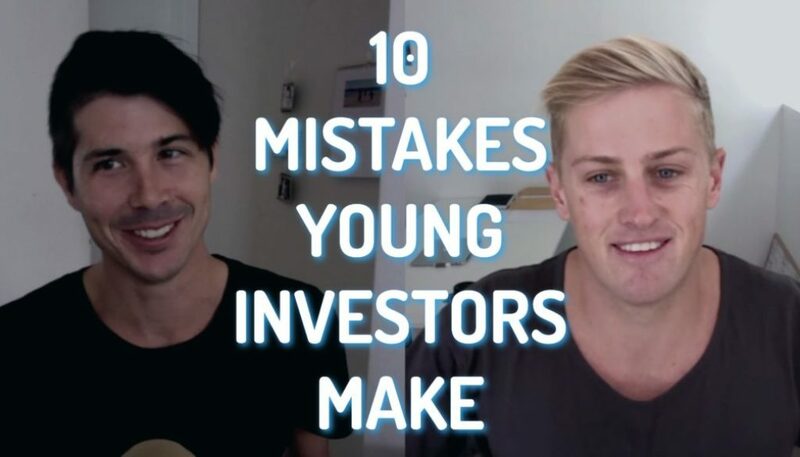 A sinking fund (according to NSW office of fair trading) is a fund that is set up by the owner’s corporation (everyone who owns a title within your unit block) to help pay for future capital expenses. This may be things like new carpets, or it may go towards fixing the lift or repairing the roof if it gets damaged. When purchasing a unit it is important to see whether or not the body corporate has a sinking fund for the property and how much is in the sinking fund. If a major renovation or capital expense needs to be paid for and there isn’t enough money in the sinking fund then each of the owners needs to front up the cash themselves to pay for the expense. If you are buying an investment unit the last thing you want to be stung with a $20,000 capital expense one week after settlement. When looking to buy a unit you are entitled to see the Body Corporate’s meeting minutes for the last 2 years. These minutes will show you what the owners discussed, what decision were made and will paint a clearer picture about the state of the unit. If there are ongoing problems or major things that need to be fixed it is highly likely to show up in these minutes. You are entitled to see the state of finance for both the owner’s corporation and your unit. This includes fees, outgoings, maintenance and other financial requirements. 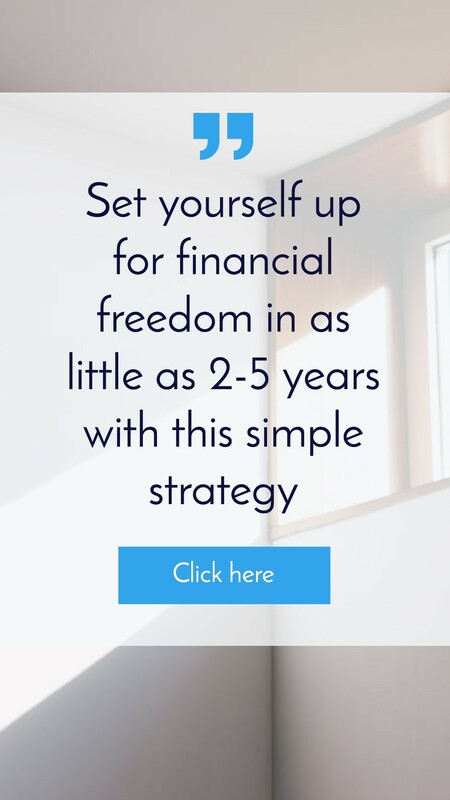 It is in this state of finance that you should find out how much of a sinking fund the unit block has and how well they seem to manage the money. Major structural problems need major repairs and as Sarah Beeny (host and author of Property Ladder) says money paid into structural improvements rarely pay for themselves in value. This is because structural problems are usually hidden and extremely expensive. You can get a building and pest inspection before the exchange of contracts to find out if there are any looming structural issues. If you are going to live in the unit yourself you may want to know whether or not your pet cat Wiskers is allowed to stay with you. If you are renting out the property it is important to know the by-laws and ensure that your tenants follow the by-laws. It shouldn’t be difficult to obtain a copy of the by-laws from the property agent or body corporate. Some units have stricter by-laws than others and this may be either a good thing or a bad thing depending on your investment strategy and what you want from a unit. 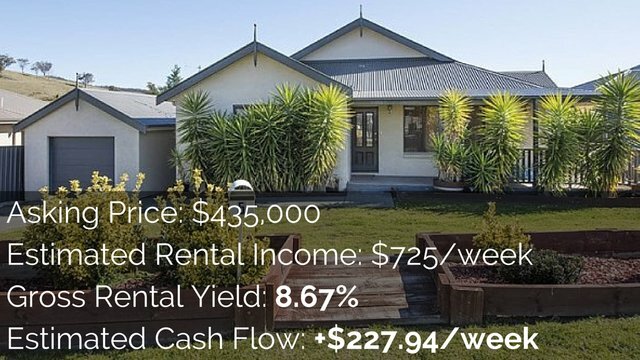 Finding out what other units have sold for in the block is a good idea to find out if you are paying over market price. Most unit blocks have identical units on each floor. So if you know that the unit directly below or above yours (with the same layout and floor space) sold for $450,000 then you have a ballpark figure of what yours may be worth. 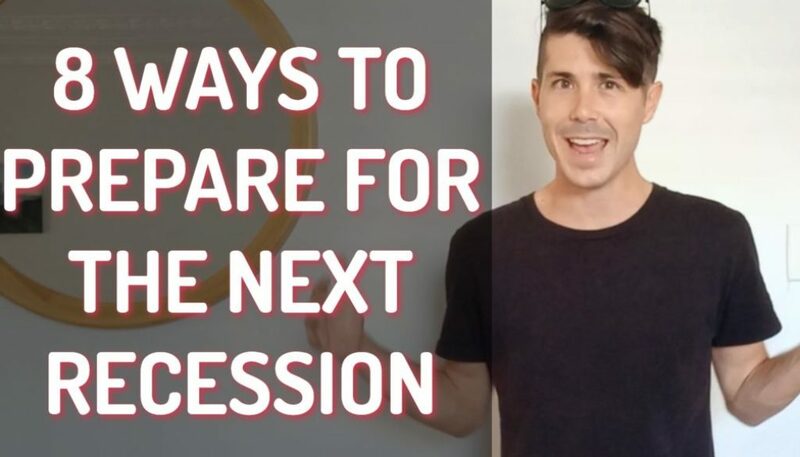 You can source comparable sales online (I use a research tool called RipeHouse to do my comparisons) but there are many other options out there. Worst case scenario (if you have the bravery) is to go door knocking in the building and try to find out what other units sold for. People love to gossip and you might strike luck with a tenant who knows everything about everyone in the building. Take this person out to lunch! One of the hardest things to do when looking to purchase an investment unit or other investment property is to research the area and find out if it is a good area to buy in. Even within suburbs there are good streets and bad streets, streets that aren’t increasing in value and streets that are undergoing ‘gentrification’, which means they are increasing in value. Use the Census site to get basic data but if you want to research an area properly consider using some more advanced research software that collects and collated the suburb and property data for you. The tool I recommend the most is Ripe House for local suburb research. Real Estate Investar is also a very powerful search tool which is worth a look at.